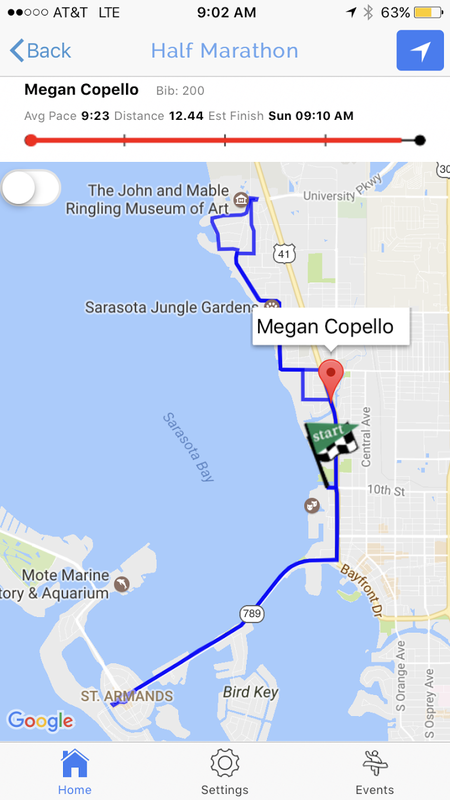 A few weeks ago, my husband Gabe and I ran the First Watch Sarasota Half Marathon Relay. This is our third time running this event and we absolutely love this series. 2017 was a little different of an experience for me but at the end of the day, it was still a great time. The 2017 relay started off not exactly as planned. We stayed a couple miles away from the start line and got a late start to the morning. Luckily we had no traffic (totally different scenario than 2014) and when it was time that we passed the start line (10 minutes before the wheelchairs were scheduled to begin), I made the poor decision to stay with Gabe and park the car vs. jump out then and go to the start line. Well, as luck would have it, we were nearly a mile away from the start when I heard the National Anthem. I sprinted to the start line and was the last person to start the race.....by 4 minutes. I have ran over 20 half marathons, 5 full marathons and multiple other race distances. I have yet to experience something like this before. I was alone in the pitch black, most of the crowd had already moved away from the start and the photographers already moved on. I had already sprinted a mile, far above my normal pace to get to the start. I finally caught up with the back and then spent the next few miles weaving. I caught up to the 3:45 pace crew and shortly after the 3:30 pace crew and so on. I had intended on running with the 2:10 pace crew but knew there was no way I would ever catch up to them. I caught the 2:30 crew right before I transitioned to Gabe. This was mentally rough for me. We have been training at Orange Theory Fitness for a few months and my base pace has significantly gotten better. For the first time in my life, I wanted to get a PR. Since this was a relay, I knew I could go all out. I've never been the person to harp on PR's or my pace but deep down, I was pretty bummed. With the additional sprint at the beginning and the mental test of being alone in the back, non-stop weaving and the realization that I wouldn't get to the pace I wanted, I was a mental nightmare. Once I took in my surroundings, I got over the situation and made the best of this gorgeous morning. How could one possibly be upset in this surrounding. Plus all this was nobody's fault by my own. I learned a lesson for sure! Aside from all the drama, I felt pretty good. 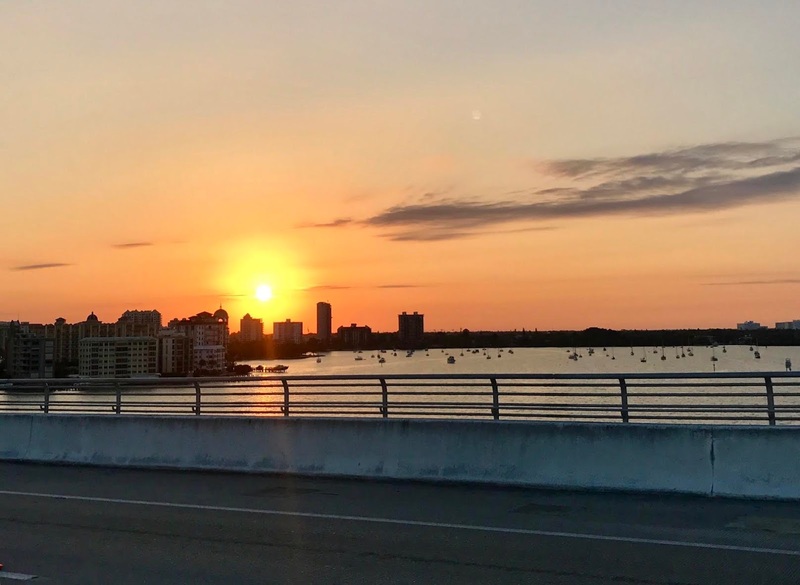 My cardio is the strongest it has ever been and there is no doubt in my mind Orange Theory helped me get over the dreaded Ringling Causeway Bridge not once but twice. When it came time for the switch, I wished Gabe good luck and started live tracking him. The really cool thing about this years series is that you could do live tracking with Athlilnks. When I opened the app, I was pleasantly surprised to see my husband running a 9:10 pace. At one point, he dropped below 9:00 per mile. I was very proud of my hubby, especially being he ran Savage Race the day and was head to toe sore. Along with the awesome tracker app, Athlinks offered free photos to participants! Our finisher photo was not available but we still got a pretty great photo of us crossing the finish line. While we didn't finish in the 2:10 pace group like we intended, we still finished at 2:16 and I will take that all things considered. Following the race, we grabbed brunch at First Watch finishers tent. I was very happy for pancakes and fresh fruit. The beer tent was buzzing at 9am. I grabbed a Michelob Ultra but couldn't do it. After a few sips, we quickly grabbed a shot with the Ringling Causeway in the background and headed off to check out of our hotel. I flew out to Atlanta shortly after this race but took advantage of a few hours and saw Beauty and the Beast before I headed out! It was so good!